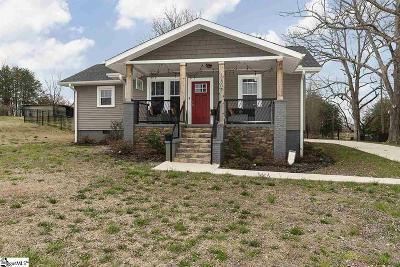 What's not to love about this adorable craftsman home located in booming Travelers Rest, SC! The curb appeal and craftsman design will catch your attention with stacked stone, shake-style accents and a front porch you'll never want to leave. The inside has been totally remodeled (including original hardwood floors) with modern colors, fixtures and all of the amenities you're looking for. Plusâ¦ everything is new! Roof, HVAC, Septic Tank, Wiring/Electric, Plumbing, Windows!!! You'll love entertaining in this open floor plan while showing off the dreamy kitchen with raised granite counter tops, tile backsplash and charm everywhere you look. Master suite is conveniently separated from the other 2 bedrooms, has backyard/patio access, a walk-in closet, full bath and is large enough for that king sized bed you've always wanted. There is plenty of storage space with ample closets, an attic and out building that matches the house- so cute! Outdoors will not disappoint- fully fenced yard, large shade/pecan trees and a peaceful water feature off the patio to enjoy with your morning cup of coffee or evening glass of wine. 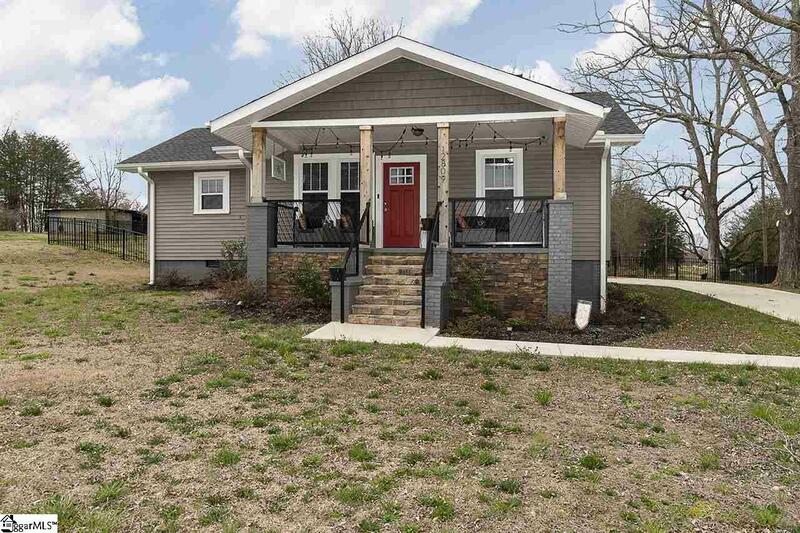 This corner lot offers more privacy than you'd think, is almost a full acre of land (.75) and is minutes from downtown Travelers Rest, North Greenville hospital, Swamp Rabbit Trail, state parks and more. Welcome home!